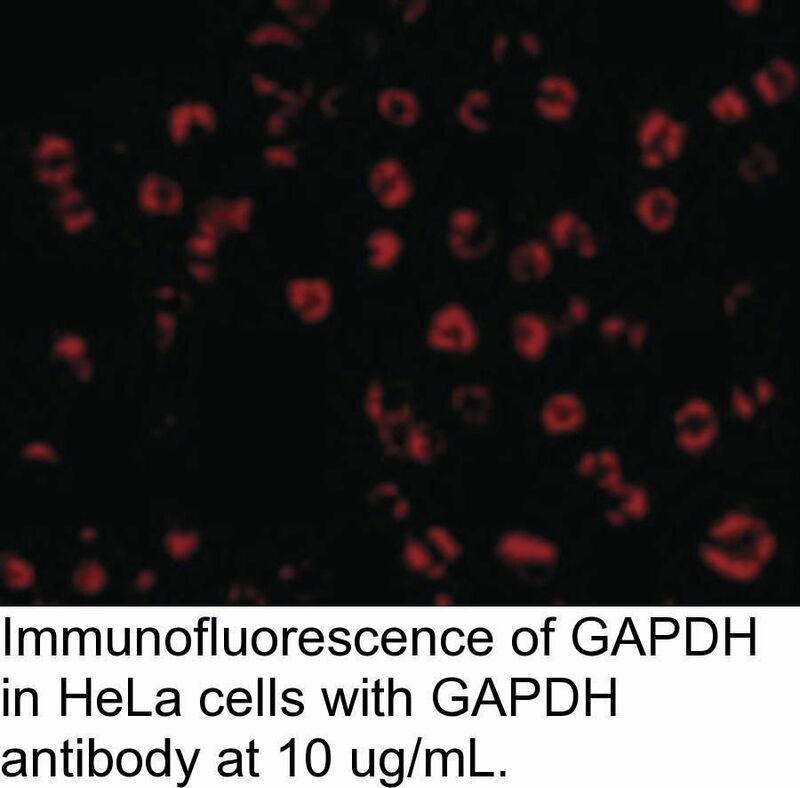 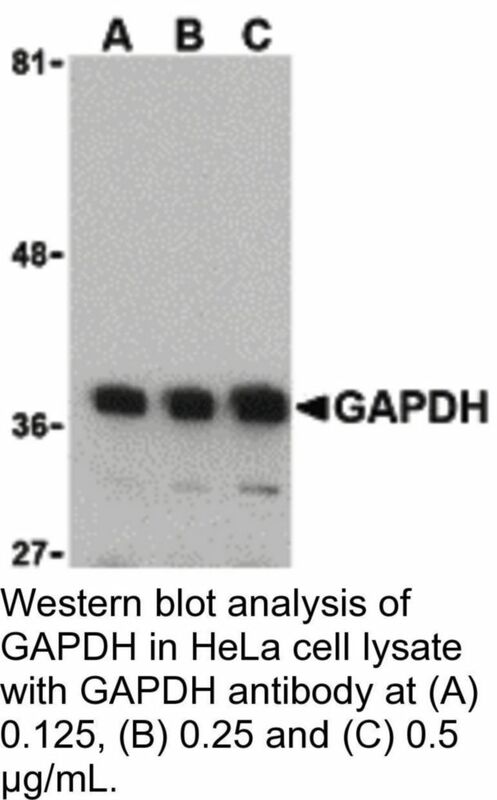 GAPDH Antibody: Glyceraldehyde-3-phosphate dehydrogenase (GAPDH) catalyzes the reversible oxidative phosphorylation of glyceraldehyde-3-phosphate in the presence of inorganic phosphate and nicotinamide adenine dinucleotide (NAD), an important energy-yielding step in carbohydrate metabolism. 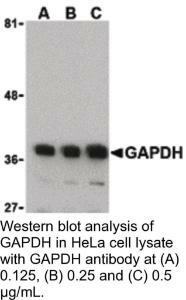 Recent evidence suggests that it also is involved in a number of cellular processes such as membrane fusion, phosphotransferase activity, DNA replication and repair, and nuclear RNA export. 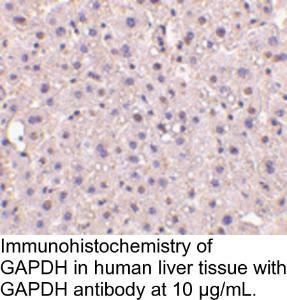 GAPDH has also been implicated in playing a role in different pathologies such as cancer progression, apoptosis, and neuronal diseases such as Alzheimer's and Huntington's disease. 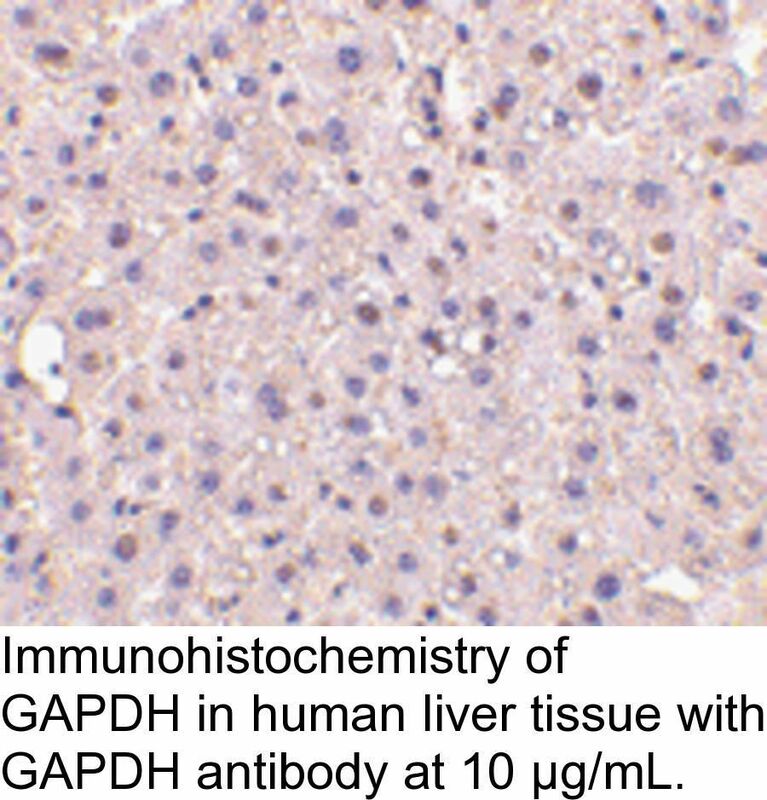 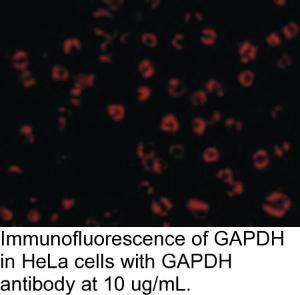 GAPDH is constitutively expressed at high levels in almost all tissues and cell lines making it ideal for use as a loading control marker in immunoblots.